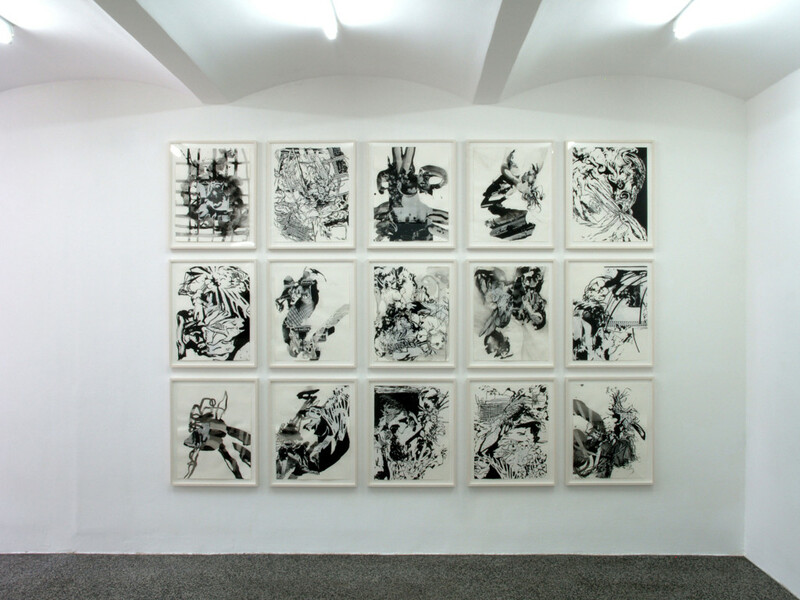 The point of departure for Charline von Heyl’s image production is the painterly process of creation and the question of the means of painting. 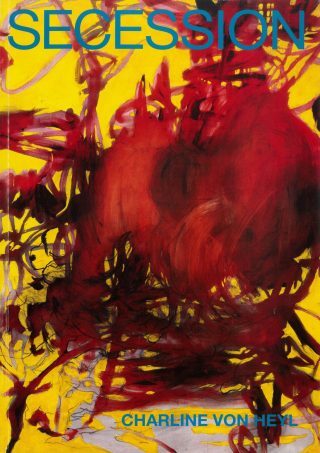 What is characteristic for her image language developed from gestures and movements is that the actions—unlike European and American Abstract Expressionism—are formulated neither as signs nor writing, nor is the brush stroke itself elevated to a motif. It is not the materiality of the tool nor its use as an extension of the body, but rather the movement behind this, the movement of deciding, which is the actual theme of her pictures. 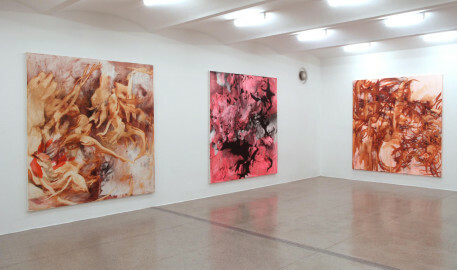 The multifaceted, often contradictory steps to determining and developing the image are present in each work. For her exhibition at the Secession, Charline von Heyl combines paintings and drawings from the past year. 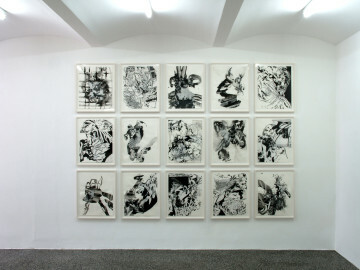 The drawings—black and white collages, in which fragments of found drawings and photos are chosen, copied, glued together and combined with ink drawings into rhythmized structures—speak a more rapid and direct language; in their vitality and drama, though, they conjoin great spontaneity with a calculated development, just like the paintings. 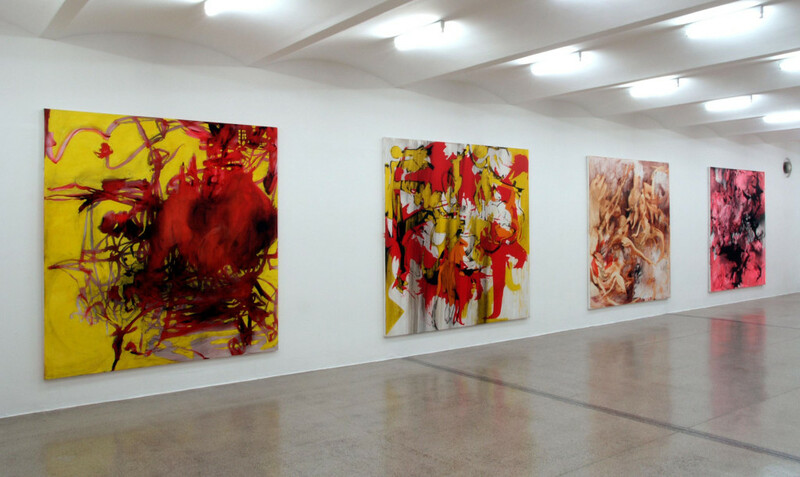 Charline von Heyl’s pictures derive their tension from the interplay of positive and negative space, the alternation of light and dark and the countless layers that are built up from foundation and object in contrast. In comprehending the picture space as a space of action, the viewer frequently stumbles into unexpected, challenging ambivalences: moments that foster and retard movement are played out against one another and often are intensified to the point of the paradoxical; a dark, dirty color scheme turns into one that is glaring or delicate, planes of color leaping back and forth whirl through the space, dynamizing the picture’s depths and coming abruptly to a halt. These kinds of points of reversal bear witness to an attitude that surrenders painting to the decisions and events of action, that is always ready to employ contradictions and abandon what has been achieved, in order to start again. Sometimes the form of the presentation of the works is also determined by this dialectic. 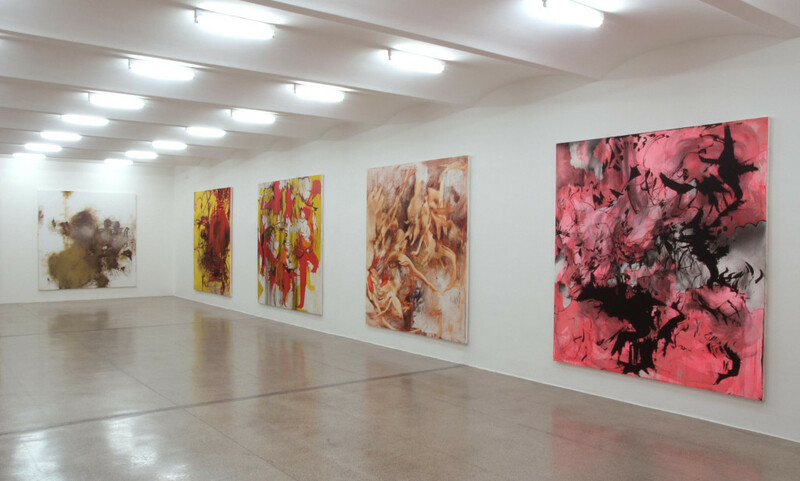 The color drawings in the Grafisches Kabinet, for example, are hung like posters, so that the fine materiality of the oil paint and the audacity of the installation enter into a fascinating dialogue. 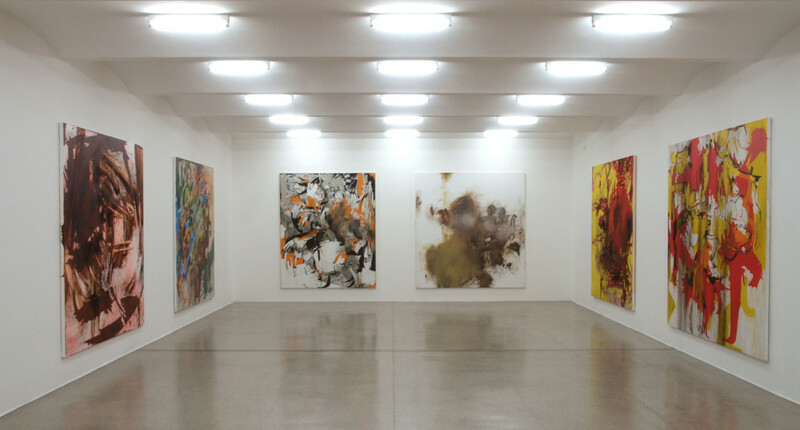 In seeking to avoid every form of conceptual representation, Charline von Heyl develops a complexity that conjoins doubt and euphoria, states of intoxication and sober insight. The pictures exude a mystery that can never be entirely resolved, despite the most intensive endeavors of perception. Charline von Heyl, born in 1960, lives and works in New York City.